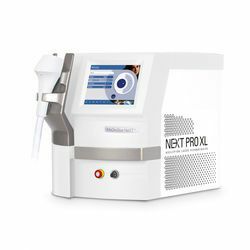 Thanks to the diode technology and to variable pulse length (up to 400ms), MeDioStar NeXT PRO XL allows the treatment of all skin types (I to VI), including tanned skin. 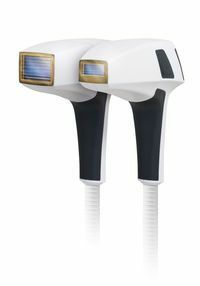 The adjustable puls e duration combined with skin cooling prevents thermal damage, such as burning, to the epidermis. 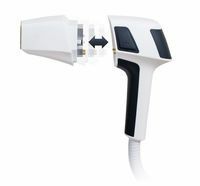 There is no more need to suspend the treatment during the summer and not to treat very dark skin types; thanks to MeDIoStar NeXT, all patients can count on the best results. 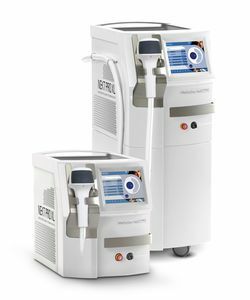 The MeDioStar NeXT PRO XL goes beyond mere hair removal, also demonstrating its great versatility and user-friendliness in other fields of application, such as the removal of leg veins, treatment of hemangiomas and other ectatic vessels. On top of this, the device allows also further treatments including acne treatment, skin rejuvenation and skin whitening.